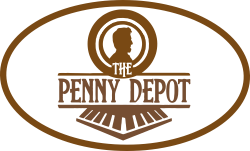 Our Pennies From Heaven poem pressed penny would be a perfect penny to start your squished penny collection today, or add it your existing penny collection. They came right on time and were just as described. I love them. I ordered this penny for my mom for a Christmas gift. It came in a cute little envelope and looked just like the picture. I would purchase from Studio Twelve 28 again!